The rule of the junta ended in 1983, but it wasn’t until twenty years later that President Nestor Kirchner took office and shortly afterwards suspended the immunity enjoyed by former military leaders. His democratic, left-of-centre government has also reformed the Supreme Court, making it more politically independent and better able to come to terms with the country's past. However, it was his government’s campaign to reduce AIDS that led to the concordat crisis. In February 2005 when the Health Minister and medical doctor Gines Gonzalez Garcia approved the distribution of free condoms to young people Military Bishop Antonio Juan Baseotto felt moved to declare that “those who scandalise little ones should have a stone tied around their neck and be thrown into the sea”. The Bishop claimed, of course, that he was merely quoting the loving words of Christ (Mark 9:42). Even so, many Argentines were not convinced. In particular, the remarks of the military bishop were not appreciated by the Mothers of the Plaza de Mayo. These are the women who defied the junta by demonstrating every week in the plaza, seeking information about their children who had disappeared into the torture chambers and the sea. 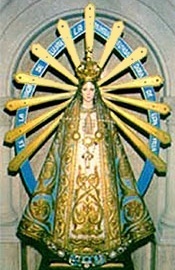 “The Mothers’ use of the imagery of Christian motherhood made them particularly effective against the professedly Catholic military regime.”  it was clear that these mothers grieving over their dead children better represented the image of the Virgin than the military men who claimed her as their patron. But the scandal resonated well beyond Argentina, since Bishop Baseotto is no ordinary prelate. 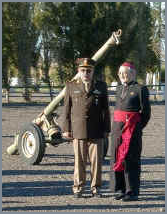 Under the terms of a concordat signed with the Vatican, Argentina agreed to the establishment of a military chaplaincy and Baseotto is the Bishop responsible for this. Furthermore, his salary is paid by the state. In February 2005 President Kirchner asked the Vatican to replace the Military Bishop, but three weeks later his request was refused. On 18 March 2005 President Kirchner issued two decrees. The first withdrew his support for the 1992 concordat by which the Vatican had appointed the military bishop and the second one cancelled public funding for the Bishop's chaplaincy, including his salary. The Vatican then protested that this was an attack on “religious freedom” and even a violation of “international law”. For when the Vatican signed the concordat to establish the military chaplaincy, it did so as “the Holy See”, the name it uses when it claims to be a country. This removed the accord from democratic control and made set the rules for the chaplaincy in stone. The Argentine Parliament had no further say in the matter once it was bound by a concordat or “international treaty”, for international law has priority over national legislation. This means that technically firing the military bishop violates an international treaty. 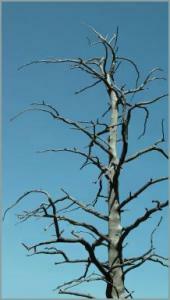 However, in reality, it is matter of a make-believe treaty with a make-believe state. No one seemed too worried about an imminent attack on Buenos Aires by helmeted Swiss Guards brandishing swords and pikes. Kirchner’s rejection of the concordat shows how easy it can be if the political will is there. All it took was a presidential decree — and the strength to brave a Vatican tirade.